Imagine the glory of the English countryside in summer: gently rolling fields, herds of cattle grazing, patches of broadleaved woodland and woodpigeons cooing lazily in the afternoon sun. This rural idyll would be incomplete without at least one beech tree, or, better still, a whole stand of beeches, their branches casting cool, deep shadows on the ground beneath. Fagus sylvatica, the Common or European beech, is thought to have arrived in the British Isles around 4000 BC; it may even have been brought here by the first people to colonise these islands after the last Ice Age. In terms of native tree species, that is quite a late arrival! The beech is considered to be a native tree of south-east England and the Midlands, and it later became naturalised in northern England and Scotland. A shallow-rooting tree, the beech prefers well-drained soil, either limestone, chalk or sandy loam; and it likes warm summers. When beeches grow to their full height, which can be as much as 140 feet, they are susceptible to wind damage. You won’t find many beeches thriving on an exposed Scottish moorland, but there are some superb old specimens in the Perthshire glens. The buds are coppery in colour, long and slender; they will burst open between mid April and the beginning of May, and the same tree may open its buds on exactly the same day every year. 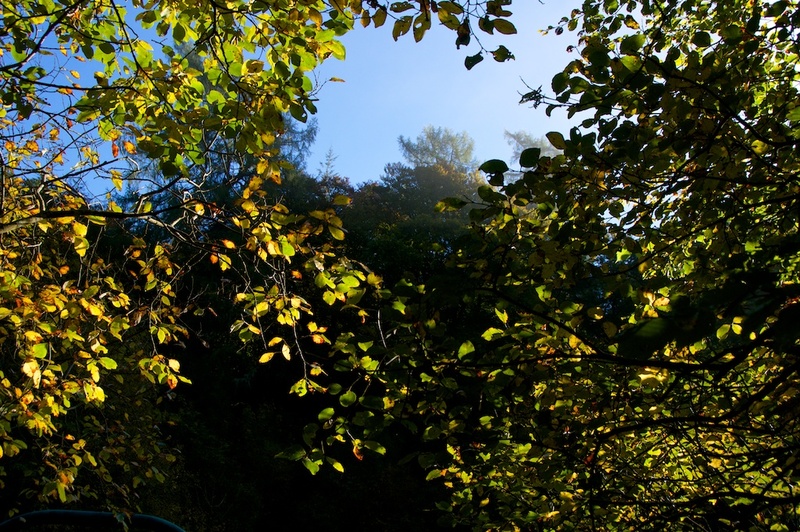 Beech trees tend to be a law unto themselves in terms of what plants will grow alongside – or below – their branches. The canopy they create is very dense, depriving the woodland floor of sunlight from late spring onwards; and the leaf litter takes a long time to decompose, which is an added deterrent for plants that might colonise the ground beneath. The species that will tolerate these conditions, however, produce some of nature’s most spectacular displays. Bluebells flower in late April or early May, before the beech leaves have time to open fully; they will turn the woodland floor into a dazzling azure sea, filling the air with their scent. 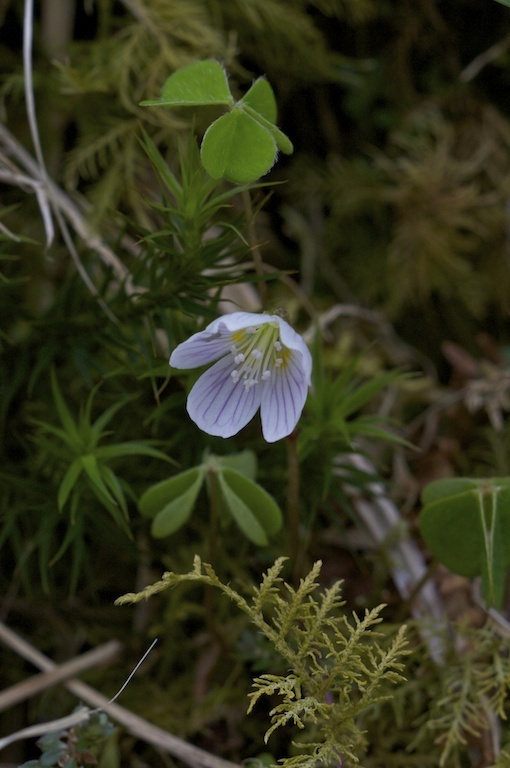 Wood sorrel and wood anemones lift their white heads into the dappled sunlight, before the ground is cloaked in deep shade. This dark underworld is then the domain of specialists such as bird’s nest orchid, broad-leaved helleborine, common wintergreen and yellow star-of-bethlehem. Nor are beech woods starved of wildlife. They are home to many butterfly species including the grizzled skipper, the Duke of Burgundy and the white admiral; and they provide ideal conditions for a large variety of other insects as well as fungi. Wood warblers sing from the leafy boughs, while woodpeckers and nuthatches search for insect larvae in the smooth grey bark. Beech trees are a beautiful sight in summer, with their bright green leaves and graceful branches; but they are magnificent in autumn, glowing with vibrant shades of gold and bronze. The small, triangular fruits are known as ‘beech nuts’ or ‘beech mast’; these are edible, and have a sweet taste. Traditionally, pigs were allowed to graze on beech mast, and it is also a welcome source of food for deer, squirrels and mice. The fruit crop varies widely from one year to the next: a prolific season is called a ‘mast year’. After the autumn, some of the dead leaves may remain on the tree throughout the winter, a characteristic known as marcescence. Beech trees can be surprisingly long-lived: some coppices are known to be over a thousand years old. The presence of bluebells in great numbers is a tell-tale sign of an ancient woodland, suggesting that it dates back to at least 1600 or before. The early Celts worshipped a beech god known as Fagus; the tree was believed to be a symbol of prosperity. The practice of tying wishing rods to a beech tree can be traced back to ancient Celtic customs, and a fallen branch would have wishes written on it, for consideration by the faerie queen. Bluebell woods were regarded with awe and a certain amount of fear, because they were thought to be enchanted; and woe betide the visitor who heard the peal of a bluebell. His days were numbered! Beech trees can create a dense hedge, and there is none more spectacular than the Meikleour beech hedge in Perthshire. Officially recognised as the world’s tallest and longest hedge, it is 580 yards long and 120 feet high. The hedge was planted in 1745 by local landowner Robert Murray Nairne. Nairne was a Jacobite sympathiser, and he was destined to meet his end that same year on the battlefield of Culloden. 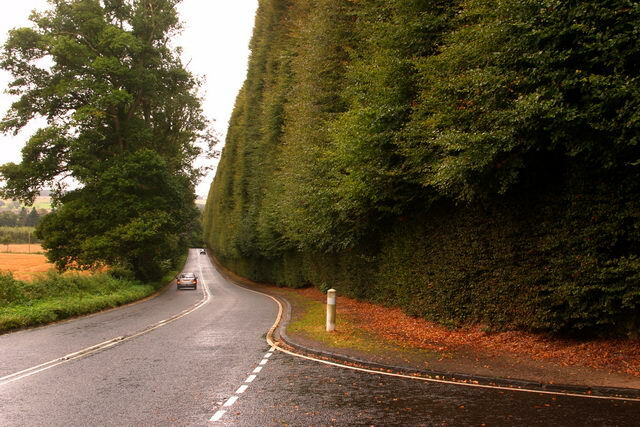 Every 10 years the hedge is cut and measured, a job that is said to take four men a total of six weeks. They use hand-held cutting equipment and a hydraulic lift. Such glorious photos of a beautiful tree, as well as plenty of interesting facts. I didn’t know that they grew better in the south of England, I think of it as a common tree up here. Your first photo makes me long to see the spring green leaves appear. One of my favourite sights is a beech wood littered with bluebells (I like your description of an ‘azure sea’), and again in the autumn when the leaves turn golden orange. Every time I drive past the Meikleour beech hedge I feel delighted to see it, it’s a real treasure. Thank you, Lorna! I am longing for the spring too, and seeing the first bluebells. To think that we saw those first leaves emerging in January – that must have been a bad omen! I didn’t realise that about beeches either, but when you think about it there are fewer beech woods in Scotland. I think Perthshire may have more beeches than other Scottish counties, perhaps because of its relatively mild climate. We often drive past the Meikleour hedge too – I had no idea it existed until we came up here! We’ve often thought about getting out to photograph it but that stretch of road is pretty hazardous! I know, you wonder what’s happened to that first burst of spring, the leaves seem to be taking ages to come out. Photographing the Meikleour hedge is a tricky job because there’s nowhere you can easily stop and take a picture. There is a little lane opposite it that you can drive down but even so you don’t get a great view because of foliage between you and the hedge. The shot you’ve included in this post, taken from the turn off to Meikleour is very good. I think that must be about the best vantage point you could get. What a glorious tribute to my favourite trees. Beautiful photos! I savoured every moment of this post. I was interested to read that bluebells suggest ancient woodland: I didn’t know that. It makes me reassess what I thought I knew about my favourite wood here, where conifers and sweet chestnut, planted in the 19th Century, are mixed with vast old beeches -and thousands of wild bluebells. The owner of the Meikleour beech hedge is a friend of ours. He looks on the curatorship of the hedge as a very mixed blessing, I think! Thank you very much! That is a lovely comment. I love beeches too, and especially bluebell woods. I don’t envy your friend’s job of overseeing the cutting of the Meikleour hedge! It must be a traffic nightmare, apart from anything else. What a fine essay on the ecology of the beech tree- enjoyable as always! Thank you very much! I found out a lot I didn’t know – as always!